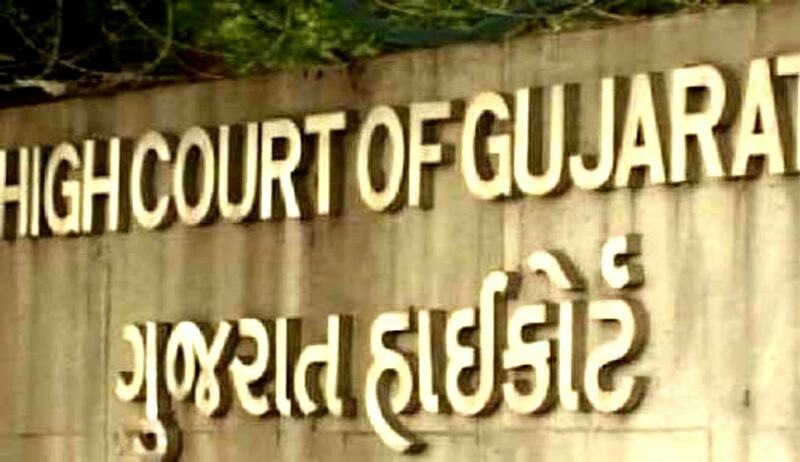 Gujarat High Court has reversed a Trial Court Judgment in which the Trial Court had acquitted some accused in Viramgam town riot case where three members of Muslim community were killed on February 28, 2002, a day after Sabarmati Express train was burnt in Godhra killing 59 kar sevaks. The Division Bench comprising of Justice Harsha Devani and Justice Biren Vaishnav has also upheld the conviction and sentence of two Accused awarded by the Trial Court. According to Indian Express report, of the Seven Accused, three had been acquitted by the trial court, and the four others were held guilty of lesser offences. "While maintaining the judgment and order of acquittal qua accused Devabhai Samatbhai Bharwad, the same is set aside qua accused Satabhai alias Haider Gela Bharwad, Naranbhai Samantbhai Bharwad and Udaji Ranchhodbhai Thakor and the said accused are convicted for the offences punishable under sections 302, 307, 323, 324, 325 and 326 read with section 149 of the Indian Penal Code. Criminal Appeals No.1204 of 2011 and No.46 of 2012 are hereby allowed. In addition to the order of conviction and sentence in the impugned judgment and order, accused Valabhai Gelabhai Bharwad is further convicted for the offence under sections 302, 307, 323, 324 and 325 read with section 149 of the Indian Penal Code; accused Viththal alias Kuchiyo Moti Bharwad is further convicted for the offence under sections 302, 324, 325 and 326 read with section 149 of the Indian Penal Code; accused Mulabhai Gelabhai Bharwad is further convicted for the offence punishable under sections 302, 307, 323 and 325 read with section 149 of the Indian Penal Code and accused Merabhai Gelabhai Bharwad is further convicted for the offence under sections 302, 307, 323, 324 and 326 read with section 149 of the Indian Penal Code". "This court would now be required to give an opportunity of hearing to the respondents viz., (1) Satabhai alias Haider Gela Bharwad, (2) Naranbhai Samantbhai Bharwad, (3) Udaji Ranchhodbhai Thakor, (4) Valabhai Gelabhai Bharwad, (5) Viththal alias Kuchiyo Moti Bharwad, (6) Mulabhai Gelabhai Bharwad and (7) Merabhai Gelabhai Bharwad, on the question of sentence. The cases are, therefore, adjourned to 25th July, 2016. Accordingly, Issue Notice to the above respondents, returnable on 25th July, 2016. If on that date, they fail to appear before this court, the learned advocate for the respondents shall be heard on the question of sentence".